Big River Brewing in Richmond is no more as it has rebranded as Be Right Back Brewing or for short BRB Co. I was lucky enough to get an invite to the relaunch party on September 30th, 2015. Not only has the name of the brewery changed but there have been lots of renovations to the space as well. The hardwood flooring is gone as well as the decorations like boats hanging from the ceiling. The section of the pub closest to the bright tanks might even become the house to more fermentors and canning. If you have ever been to the brewery and pub you will know that the brew house and fermentors are housed in a different location than the bright tank farm. Starting with the brewery itself it is located beside the pub seating behind a glass door and wall. The brew house was built years ago by Specific mechanical in Victoria BC. To say this brewery is shoe horned into its space would be and understatement. The grain mill and grain storage is located on top of a cooler meaning all grain is hand loaded onto a second level. Over on the far side of the bar backing on the bowling alley you will find the room housing the bright tanks. Again this room is closed off by a glass door and glass wall so you can see what is going on behind the scenes. The beer in these tanks is directly tapped into the bar so there is no changing kegs. Either for your first time at this location or your first time since the rebrand it might be time to check out BRB Co! They are brewing some good beer and looking forward to having you in to try it. 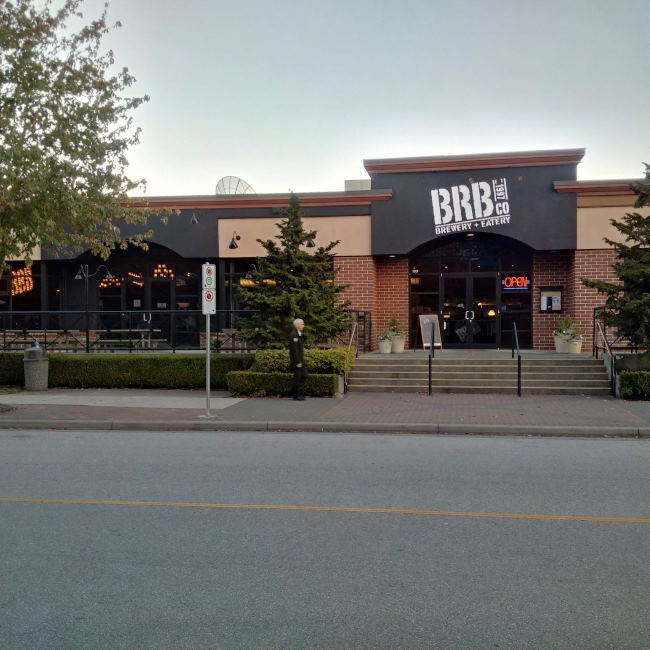 This entry was posted in Brew Pub and tagged bc, be right back brewing, beer, big river brewing, brb co, brew pub, brewery, brewpub, canada, craft beer, richmond.